For this month’s Ingress update, we have added three new features for the convenience of our users. In the situation that you are using devices with photo capture for the process of verification, you can download the photo and view it under Data Audit List. Examples of hardware that support this function is our Face ID 2, iKiosk 100 Plus and more. All you need to do is to check the option Display Attendance Photo in the Data Grid to enable it. You can upload an employees’ photo from Ingress (under user profile) to devices through the User Photo feature. Examples of hardware that support this function is our TA200Plus, Q2i and Face ID series. Through this feature, employees will be able to see his/her photo which will be displayed on screen during the process of verification. For this feature, it will first capture the employees’ photo during enrolment and save the image into the devices. After that, you can download these photo from the devices and they will be stored into the corresponding employees’ profiles as their profile photo. To enable this feature, check the option Photo during Download/Upload User page for it to take effect. The new monthly calendar display style will allow you to view a list of holidays easily under the Attendance and Access Level pages. 6. Truncated the prefix '0' in the user id function. 7. 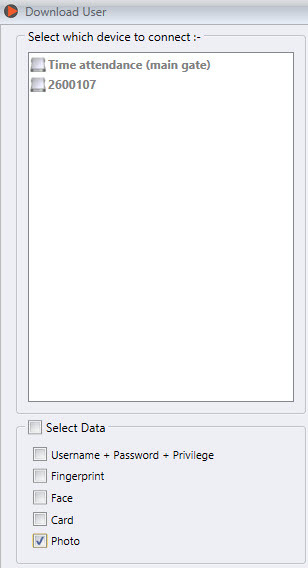 Fixed the issue of deleting all data when initialize database function. 9. Fixed the issue of Ingressus IP Address modification. 10. Fixed the issue of Add Device by URL/DNS. 11. Fixed the issue of Ingress’s inability to log the timing of Device Power On and Off.